When a spouse passes away, thinking about “the estate” might be the last thing on your mind. And while it’s necessary to give yourself ample time to process the loss of your partner, it’s also imperative you talk with your estate planning attorney sooner rather than later — or you might be facing some pretty unpleasant consequences. There are many immediate tasks at hand after the loss of a spouse such as notifying their friends, family, and colleagues, making funeral arrangements, and managing all the accompanying grief that arises. This is often too difficult a time to pay attention to the paperwork and legal details that need to be attended to. Surviving spouses may have the urge to settle outstanding issues themselves, but small mistakes made during these exhausting times can come back to cause serious problems down the road. Acting slightly out of accordance with the law — even by mistake — can make you vulnerable to the appearance of having conducted criminal behavior. You could put your own personal estate and assets at risk by performing your duties as an executor incorrectly. That’s why it’s a crucial time to lean on the support of your estate planning attorney. It’s our job to use our extensive training and experience to make sure your family’s estate is well cared for. Let us take the initiative to ensure the smooth transition of his or her wealth and resources. This includes notifying the post office, IRS, and social security office as well as handling his or her email and social media accounts. It’s also a good idea to contact his or her employer about benefits and pensions. We will work with you to take stock of outstanding credit and debts, although you may not necessarily want to pay any debts until you’ve had a chance to speak with us. Health insurance is also a crucial area to cover, as canceling policies can be time-consuming. These tasks can be completed without the help of your estate planning attorney, but we are available to assist you with any questions you may have during these processes. Once we formally meet to begin the process of executing the directives and transfers delineated in your spouse’s estate, we must go over the wills and trusts contained within it and clarify your specific legal and fiduciary role in carrying out his or her wishes. We will also assess the need for probate and if needed begin that judicial process at the appropriate time. Portability is the term used to describe a surviving spouse’s ability to take on the deceased spouse’s unused estate tax exemption and transfer it to your own plan. If you haven’t elected portability since it came into effect in 2011, there may still be time to take advantage of it thanks to a new IRS regulation called Revenue Procedure 2017-34. This rule allows surviving spouses to file for late portability election, which can, in turn, save significant taxes and create new opportunities for additional planning. Even if your spouse passed away several years ago, you might be able to take advantage of the new regulation – give us a call today to find out whether you’re eligible. If the deceased spouse worked with other professionals like a tax or financial planner, we will get in touch with them to make sure the whole advisory team remains on the same page throughout the process. The period immediately following the loss of a spouse is one of the most difficult challenges life puts in our paths. 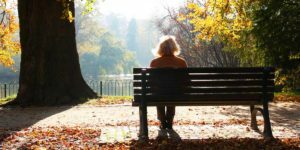 Concern yourself with the personal aspects of grieving and healing, and know that you aren’t alone when it comes to the complicated and often confusing task of sorting out his or her estate — far from it. Contact us right away and let us help you handle the legal and financial needs of the moment.